Spool of Thread sewing lounge will be joining us again at the next Got Craft? event on Saturday, December 8th and Sunday, December 9th, 2012 from 10-5pm at the Croatian Cultural Centre! If you haven’t stopped by their table at past events, you are in for a treat with their holiday themed Holly Pin! 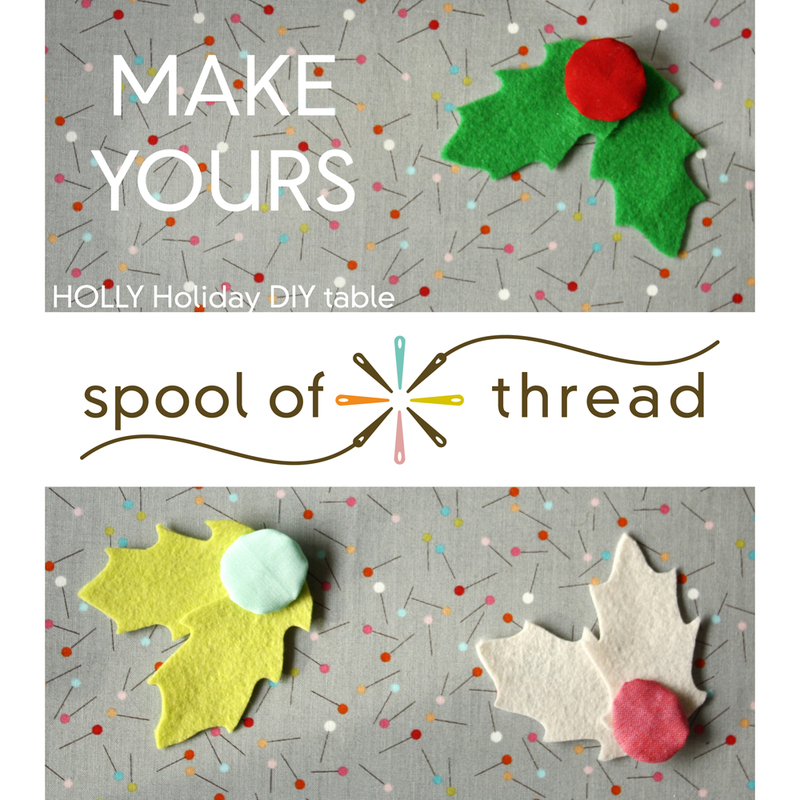 Spool of Thread’s free DIY table has all the supplies + tools needed to make a Holly Pin. Familiar faces from their shop will also be at the event with instruction sheets to help you out if you are stuck creating your pin. Once your finish, you can either show it off right away or save it for a last minute holiday gift. Complete your holiday shopping list by visiting over 80 vendors that will be at the event with their handmade goods or create some more of your own projects by participating in the other DIY workshops! All sessions are drop in between the times indicated above. Spaces may be limited. Until supplies last. Times listed are for both Saturday, December 8th and Sunday, December 9th, 2012. Categories: DIY workshops Got Craft?